OMG Posters! 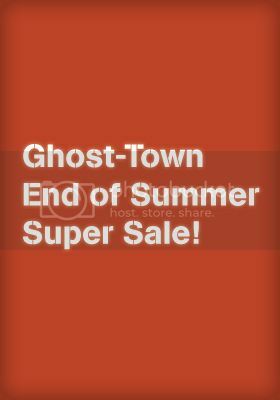 » Archive Ghost-Town Super Sale! - OMG Posters! Our friends at Ghost-Town are having an End of Summer Super Sale. For a mere $25, you get sent a random package with 5 random posters or art prints, plus some will even receive a t-shirt. This is truly the year of the mystery tube, join the fun at Ghost-Town.net. Also, if you’re in the Providence, RI area, Peter Cardoso will be having an art show at the AS220 Project Space. The show will be a retrospective look at 10 years of posters and prints by Ghost-Town. The opening reception is Sept. 7 from 4-7pm, but the show runs for the entire month of September. Visit AS220.org for more info.